What the hell is this? A Bluray? What year are you guys living in? My code's on github and the assets are in S3. You guys embarrass me. If you need a shuttle I have usb3 msata in my purse... at least it's read write. And you guys call yourself geeks? 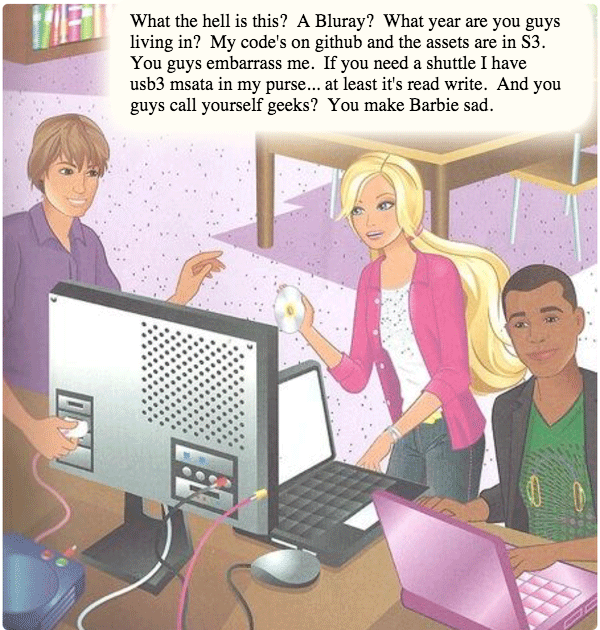 You make Barbie sad.